The Main Road and Furlong Road Level Crossings Are Gone! The Suburban Rail Loop will deliver major benefits for people living and working in St Albans by reducing congestion across the transport network, taking passengers off existing rail lines, taking 200,000 cars off our major roads and creating 20,000 jobs during construction. Take a look at what the new Joan Kirner Women's and Children's Hospital will look like. 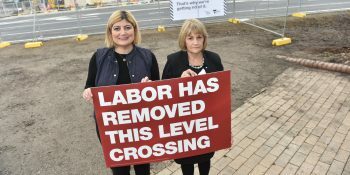 Natalie Suleyman MP has been the State Member for St Albans and part of the Andrews Labor Government since 2014. Melbourne Airport Rail Link (MARL) is set to become a reality, with the Victorian and Commonwealth Governments formally signing off on the project. Prime Minister Scott Morrison and Victorian Premier Daniel Andrews announced the signing of the Heads of Agreement today, which sets out the strategic objectives, governance arrangements and information sharing processes for the $10 billion joint commitment. Mr Morrison said the people of Melbourne and Victoria had been waiting far too long for the rail link to become a reality. “For decades Victorians have talked about a train line to the airport. We are delivering it. In last year’s Budget we made a $5 billion investment in the Melbourne Airport Rail Link, it was the biggest infrastructure commitment in the Budget. “Melbourne is truly a global city that deserves world class infrastructure. The Rail Link is part of our plan to bust congestion across the city and get people home faster and safer. “I’d like to thank the Premier and Minister Tudge who have worked constructively with me to land this agreement and bring the project closer to fruition.” A project team will be established to drive the development of a full Business Case for the project, which will not only connect Melbourne Airport to the rail network for the first time – but also integrate it with the Metro Tunnel and the future Suburban Rail Loop, and pave the way for fast-rail to the regions. Victorian Premier Daniel Andrews said the Victorian Government is not wasting a minute leading the planning work for an Airport Rail Link that delivers for all Victorians. “The Melbourne Airport Rail Link has been talked about for far too long – we’re doing the detailed planning and development work to make it a reality,” Mr Andrews said. “By choosing the Sunshine route, we are ensuring all Victorians can benefit from the rail link, including people living in Geelong, Ballarat and Bendigo. As we complete the business case, we’re also doing the work needed to deliver fast rail to the regions.” Melbourne Airport is a key part of Victoria and Australia’s economic growth. In 2016-17, it handled more than 35 million passenger movements and by 2038, it is expected to almost double to more than 67 million, as Victoria’s population continues to grow and demand increases. Melbourne Airport Rail Link will alleviate congestion on the main road connection to the airport, the Tullamarine Freeway, and unlock capacity for the growing population in Melbourne’s north-west. Minister for Cities, Urban Infrastructure and Population Alan Tudge said following the successful widening of the Tullamarine Freeway, the airport link would bust congestion for generations to come. “This is a critical project for Melbourne. It will make it easier for residents and make our city more attractive to visitors,” Mr Tudge said. “When complete, someone in Pakenham, Frankston or Ringwood will be able to get onto the train, and be at the airport in the time it would have taken to drive, but without having to worry about parking.” Victorian Minister for Transport Infrastructure Jacinta Allan said this is part of the Victorian Government’s unprecedented pipeline of major transport projects. “We’re building the Metro Tunnel, removing dangerous level crossings and getting on with the Melbourne Airport Rail Link.” “This is not just about getting from the airport to the city – it’s about better connecting our suburbs and regions, so people have better services wherever they live.” Planning and development of the MARL Business Case is already well underway. 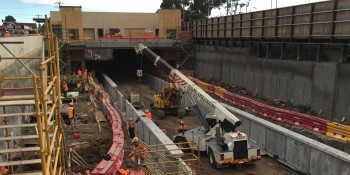 Rail Projects Victoria has engaged expert technical and commercial advisers for the project, and ecological, traffic and geotechnical investigations have begun. Early market engagement on the MARL attracted submissions from more than 100 local and global organisations. Further market sounding will be undertaken to assess equity partners, private sector involvement, financing arrangements and other matters. A reference group including community, industry and local government representatives will be established to provide guidance and feedback to the project team as the Business Case is developed. The State and Federal Governments have committed up to $5 billion each to deliver MARL. The total cost of the project is estimated to be in the range of $8-13 billion, with construction to take up to nine years and due to commence in 2022. The Business Case will be delivered by 2020 and will assess station and procurement options, value capture and creation opportunities, and economic analysis of the recommended solution. 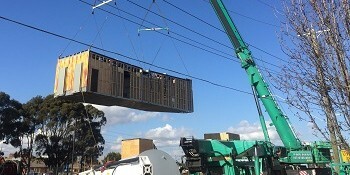 The new St Albans station is on site in Melbourne’s west after being constructed more than 50 kilometres away in Kilsyth. 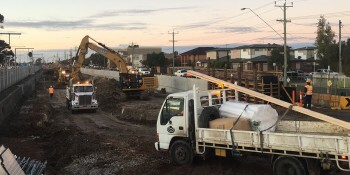 Major construction to remove the dangerous and congested level crossing at Furlong Road is now underway.